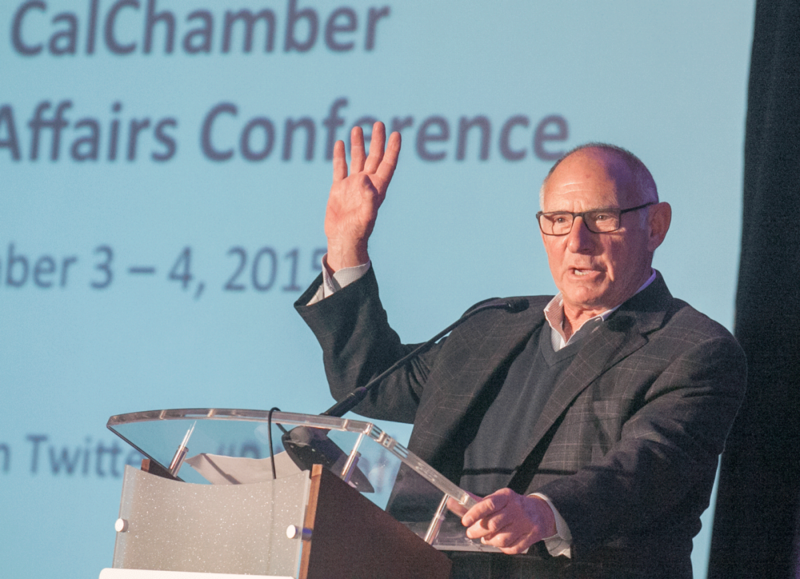 Lest Californians forget, 2016 is an election year and yesterday at the first day of the California Chamber of Commerce 2015 Fall Public Affairs Conference, insiders from both major parties offered insights and predictions on key statewide and legislative races, as well as the upcoming ballot initiatives. Wilson asked panelists to handicap races and forecast elections in the 2016 cycle. Campaigns in California are a year-round business and in 2015 there were four special elections for the state Senate and none in the Assembly. In 2016 there will be 17 open Assembly seats and seven open Senate seats. In the Assembly there are 65 members serving in their first or second terms—that’s 81% of members who are eligible to serve until 2024/2026. The number of members eligible to serve 12 years in the Senate also is growing. Now there are five freshmen and two sophomores eligible to serve to the middle of the next decade; these numbers will grow over the coming election cycles, the panelists projected. Panelists commented that there has been a marked shift to more California voters identifying themselves as “independent.” At the same time, however, the notion of what it means to be an independent has changed. This new demographic of voter is young and urban while being socially liberal and fiscally conservative. However, the term “fiscally” conservative doesn’t align with the Republican definition. These new independent voters are willing to spend money if they can be reassured that something smart is being done with the additional financial resources. All the panelists agreed that fundamentally California voters show up to vote only when there is a “big event,” whether that’s an exciting initiative, gubernatorial campaigns or presidential race. For example, looking to the marijuana initiative on the 2016 ballot, the panel agreed that its presence will drive voters to the polls at the general election, not in the primary leading up to it. 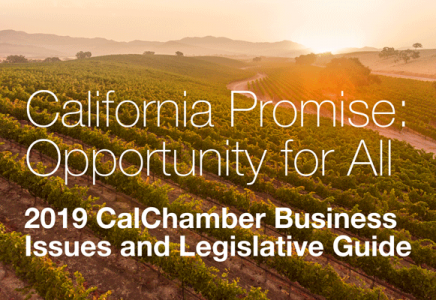 CalChamber President and CEO Allan Zaremberg moderated a discussion with political practitioners about taxes, bonds and marijuana. As panelists previewed the initiatives on the 2016 ballot, Zaremberg remarked that six initiatives have already qualified for the 2016 ballot and there could be as many as 18 that qualify. Joining Zaremberg on the panel were Rick Claussen of Redwood Pacific Public Affairs, Tom Ross of Meridian Pacific, Inc; and Christy Wilson of Wilson Public Affairs. The panel reiterated the point that the previous panel made about voters being very focused and engaging on an issue if they find it important. One audience member asked whether initiative proponents should limit the number of issues on the ballot because it could cause voter fatigue. In response, the panel was quick to cite a recent case study conducted of the 2012 ballot. It showed that voters were willing to weed through the long list of ballot measures to find and vote on issues of concern to them. The final panel of the day was moderated by Jeanne Cain, CalChamber executive vice president of public policy. Panelists included: Assembly Member Catharine Baker (R-San Ramon), Assembly Member Bill Brough (R-Dana Point), Assembly Member Jim Cooper (D-Elk Grove), Senator Steve Glazer (D-Contra Costa), Assembly Member David Hadley R-Torrance), Assembly Member Jacqui Irwin (D-Thousand Oaks), Assembly Member Sebastian Ridley-Thomas (D-Los Angeles), and Assembly Member Miguel Santiago (D-Los Angeles). She asked the panel of California legislators: what was the most significant accomplishment the Legislature achieved in 2015? Throughout the panelists’ discussions and responses, there was an overwhelming tone of comradery from the group. The legislators praised changes made to term limits because it will allow them to serve their constituents longer and more thoroughly. As one panelist put it, after the next election cycle, that will be the Legislature for the next eight years and they look forward to crafting more bipartisan bills. CalChamber President and CEO Allan Zaremberg moderates a panel previewing initiatives expected to appear on the ballot in 2016.